HiSPiCO is a transmitter system for S band communication links from small satellites in LEO environment. 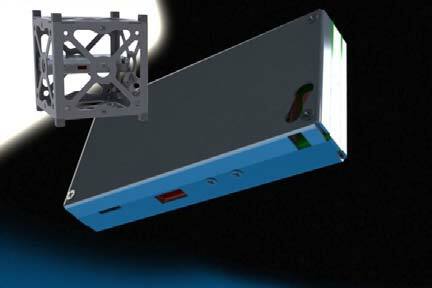 It’s a cost effective, miniaturized, low power solution for Cubesats with TRL9 achieved. The wideband downlink system provides up to 1 Mbps at frequencies 2.1 - 2.5 GHz. Optional patch antennas are available.